April 2008 - Posts - amylicious! First of all, as Amy G requested: college talk! Well, more of it anyway. I'm currently trying to decide between Hampshire College and Juniata College. I'm leaning more for Juniata right now, but sometimes I'll be leaning more for Hampshire. I simply can't make up my mind :/ And to complicate matters, I'll be visiting Transylvania University on Friday because they called me up yesterday and convinced me that I should come and sit in on a class, because I shouldn't rule out going to school in Lexington just because it's in Lexington! Plus, the woman I spoke with was so nice and understanding about the whole "GET OUT OF KENTUCKY" mindset, that I realized hey, I could at least give Transy a fair play (also considering they've given me the nicest financial aid package). Soo. Basically, college is annoying and confusing and yet I still don't even know where I'll be going next year. Rough! I am pretty curious about the wait-listed schools, though. Will I get in?! Who knows! Obligatory foot picture. 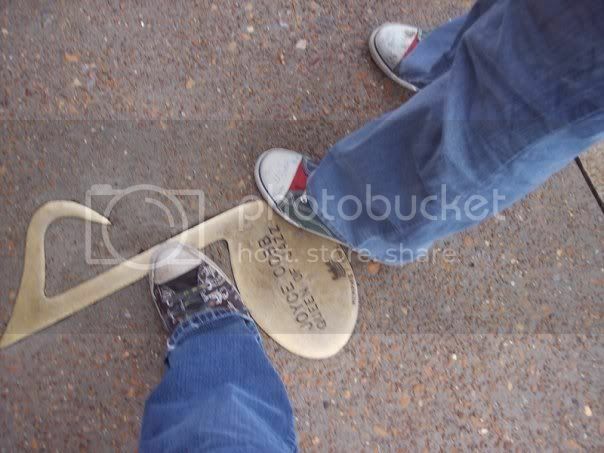 Saskia's foot on the right, mine on the left. After eating dinner at Rendezvous, we went up to greet the Peabody ducks in their "penthouse" and get group pictures. 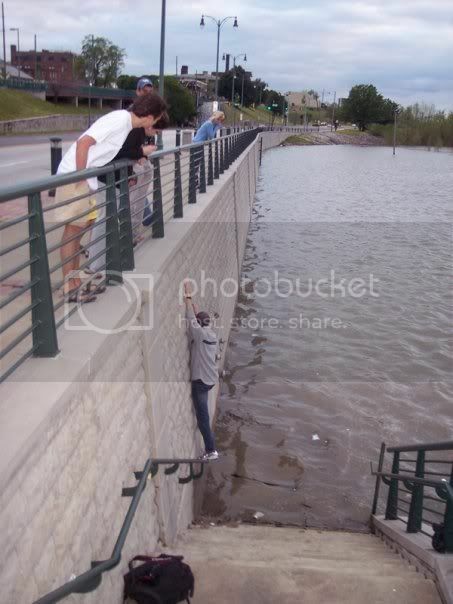 My teacher, Mr. Liimatta, climbing over the Mississippi River. COOLEST EVER. Saskia is a good boy so far. The next day, we went to hang out in Oxford. 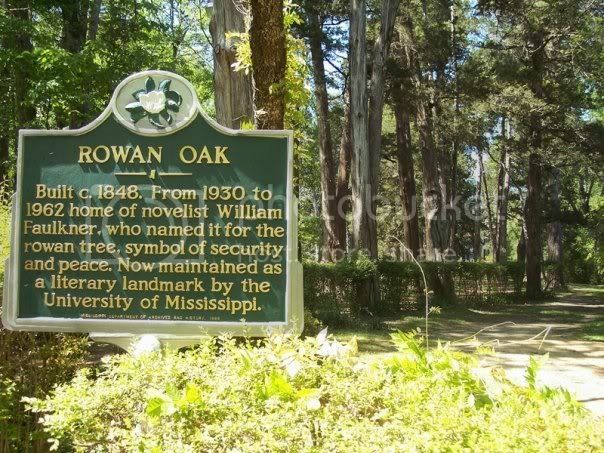 First we visited Rowan Oak, William Faulkner's home. SO GORGEOUS THERE, LET ME TELL YOU. 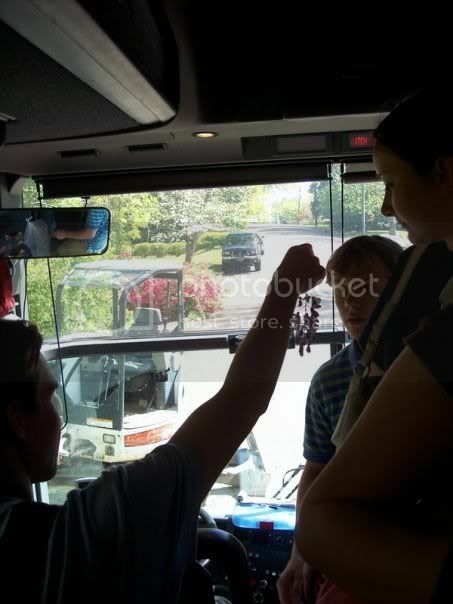 When we boarded the bus again, Mr. Liimatta forced us all to smell the wisteria. Except Saskia, who was wearing it in her hair. 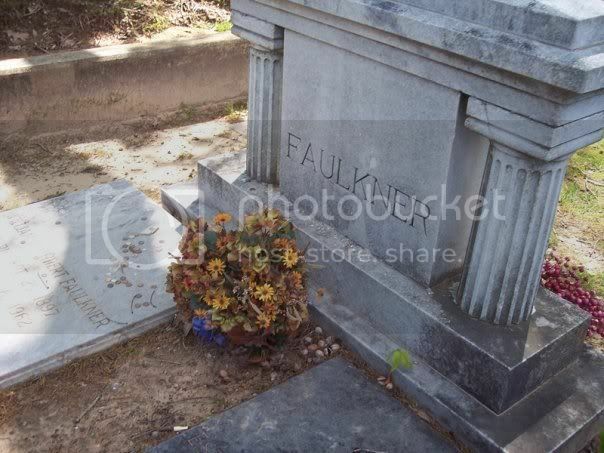 We chilled at Faulkner's grave. Mr. Liimatta read sections to us from The Sound And The Fury, and Michelle (my fellow Wand/Literature gal) preached to us the words of Rev. Shegog. 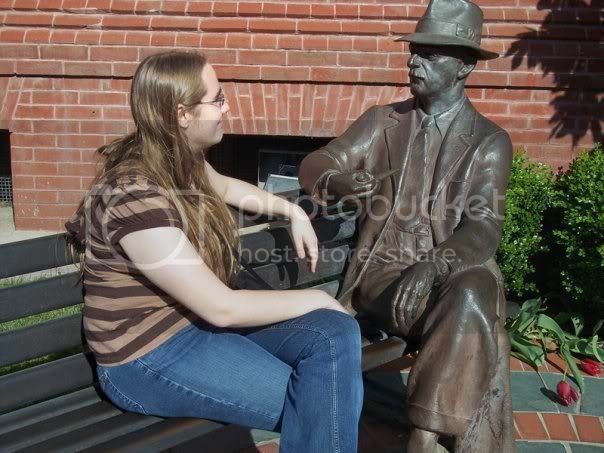 I chilled a little with Faulkner myself, and very much enjoyed the wonderful town of Oxford. Ohhh. It was a marvelous trip. I didn't even really care about prom until January, when some of my classmates were talking about it. I suddenly realized, "Hey. I want to be able to say I went to my senior prom." On a final note, I'm registered to vote! And on May 20th, I'll be voting in my state's primary election. Oh, how exciting. 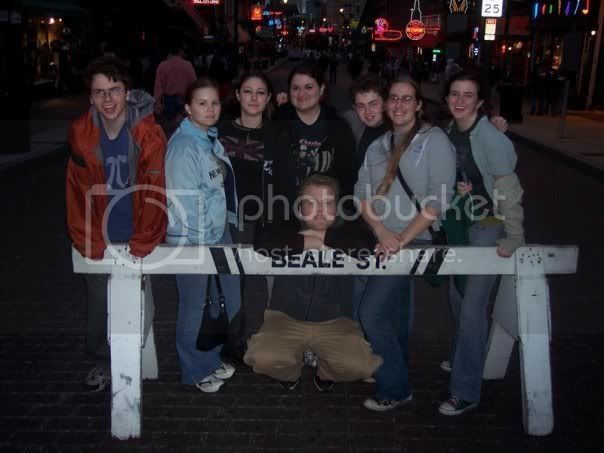 My group of friends and I, though, are kind of, um. Discombobulated. And I get the feeling some people are particularly pissed at me because I don't really voice a lot of my concerns/issues/etc., and I kind of avoided some people, or at least it seemed like I was avoiding some people (when really, I just wanted to sit outside and enjoy Oxford some more). It's pretty scary, actually, that we still have all of this unresolved issues with each other, yet in little over a month it'll all be over. School, that is. High school. We'll be off doing summer activities and then boom! college. I don't even know yet where I'm going to college (Hampshire? Juniata? Somewhere I got waitlisted, like Kenyon or NYU? Of course, this depends on if I end up getting in anyway, I guess). fhdsiujfksla. This still freaks me out so much. Saskia's going away to Kalamazoo next year, a bunch of my friends are staying in-state, I'll be going who-knows-where but I know it won't be near here. And I'm scared out of my mind at the idea of making new friends. I like my friends. I don't want new friends. Sometimes, I get this overwhelming urge to stay in Lexington just because of my friends — thought I've promised myself (and Saskia) that no decision should be based on this, at least not one as important as the next four years of my life. But honestly, the idea of not having these people, of not having Saskia and Vincent and Brian and Tati and Lauren and James — why do I want to be without the people who have pulled me through high school? I have no way of knowing if I'll make good friends in college, I have no way of knowing how long it'll take me to do so, and I have no way of knowing (and this is what kills me) if I'll keep in touch with my current friends throughout college. At least with high school, I've known that no matter which way I turn, I'll have somebody to lean on and hug and talk to and hang with. But after this summer, I don't know a thing. And I can't stand the thought of not having a glimpse into my future. I should be working on mentoring because I need to e-mail my mentor. And I need to work on Lit Mag stuff with a friend of mine. And I need to do french. Oh dear. This week is going to be stressful. After spending most of the week in the brown, wet northeast, imagine my surprise when I arrive home to find it green. And there are even flowers in bloom! Oh, it's pretty. So, so pretty. Of course, my dad is like, "If you like the greenery, then why are you going to school up north? 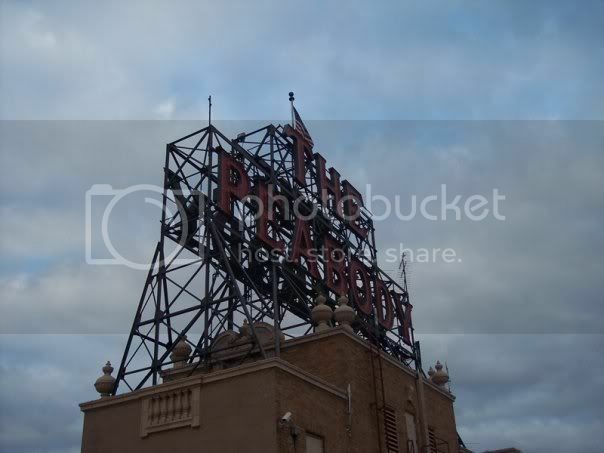 It won't be green up there for at least another two weeks!" Last Sunday evening, Monday and Tuesday, I was in wonderful NYC, hanging out with my dad. We walked around the NYU campus briefly, went to the Apple Store on Fifth Ave (SO. BEAUTIFUL. ), saw two Broadway shows (RENT and Spring Awakening), had lunch with Amy G. Walked a lot. RENT was a last minute decision and a fantastic one at that. Spring Awakening... oh man. Whenever someone asks me how it was, I turn into this big blubbering mess of, "Oh man, amazing, astounding, my entire life, ahhhhh!" Honestly, it lived up to everything I was hoping for, and then even more and more and more. Then of course I got pictures at the stage door with various actors and fhgujkas meeting them is like a dream come true. Jonathan Groff is so freaking nice, seriously, and, and Jonathan B. Wright smiled at me! CAN YOU SAY LOVE? Because that's all I've been thinking. Love love love. Love everything about Spring Awakening. Ahhh. After NYC, we left for a night in New Hampshire with my nana, and then the next day went to visit Hampshire College. I'm absolutely in love with Hampshire, but I don't want to make my final decision for at least another week. I mean, I've visited Hampshire much more recently now than I have Juniata, so of course it's going to overshadow Juniata. I'm also worried about after May 1st, when I hear back from the schools I've been wait-listed at — what if I get into one of those and decide I like it better? My dad would rather I go to Kenyon than Hampshire, for instance. But fjdiksfjk I don't know. Isn't it enough that I love Hampshire right now? I spent the afternoon with Saskia and we both went on and on about how we're so afraid of making the wrong decision. If I go to Hampshire, though, my dad figures I'll be getting on the Amtrak every weekend so that I can go and see Spring Awakening alllll the time. PLZKTHX IF YOU INSIST, DEAR FATHER. Ahaha. Ohhh man. But actually, I'm really tired of all things education right now. Being a second semester senior pretty much means I can't remember that I have work I need to do, and that I'd much rather be elsewhere, that soon I'll actually be elsewhere. I can't wait to get to college and care about learning again, because it'll be so nice to choose interesting classes. I mean, seriously, I could care less about Chemistry and Psychology now. Just want an escape! Unfortunately, that escape is a little less than two months away. Until then, I guess I'll be reading books, writing out vocabulary, and cramming for tests. Worst. Ever.